. . . Democrat-run states have high fiscal irresponsibility, demonstrating little respect for taxpayers. by Thomas Gallatin: The Mercatus Center at George Mason University has released its latest ranking of states by their fiscal condition. And it comes as no surprise that nine out of the top 10 most fiscally sound states are Republican-run, whereas nine out of the bottom 10 worst states are Democrat-run. The Mercatus Center ranks the states based on five categories that include: cash solvency, budget solvency, ability to meet long-term spending commitments, state spending and taxes as a share of personal income, and unfunded pensions liabilities and debt. 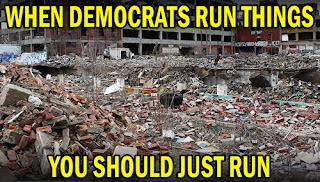 However, in spite of all the data and clear evidence warning against the demonstrably bankrupt and untenable policies of socialism, Democrats have chosen only to double down in continuing their march to the hard-left. How else does one explain their calls for “Medicare-for-all” while they avoid answering how they would pay for the $32.6 trillion price tag? Democrats, like snake-oil salesmen, are trying to sell the nation a stinky bag of failed socialist garbage by appealing to fairness. The truth is that for Democrats it’s not really about serving their fellow citizens by looking out for their best interests; rather it’s all about selling impossible promises couched in faux morality in order to secure power for themselves. Nothing else explains the long-term fiscal irresponsibility practiced by Democrat-run states. Thomas Gallatin is Features Editor of The Patriot Post. 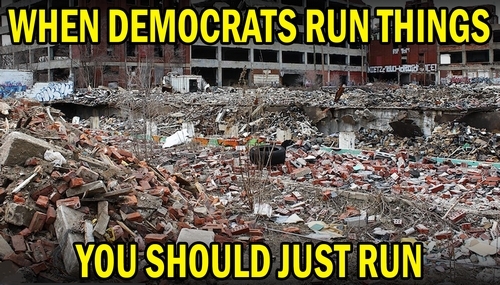 Tags: socialism, Left, Republicans, Democrats, Ranking of Best, and Worst, Run States, Exposes Dem Failure, Thomas Gallatin, The Patriot Post To share or post to your site, click on "Post Link". Please mention / link to the ARRA News Service and "Like" Facebook Page - Thanks!